Over the past two decades, telecommunications interception has developed into a major industry. Intelligence agencies and private organisations in all countries routinely intercept calls that may yield sensitive political, military or economic information. 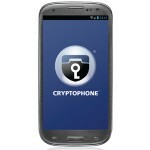 But protecting your information with strong and trustworthy encryption has become difficult. “Proprietary” or “secret” algorithms of dubious quality, and encryption that is too weak to protect against modern computing power are commonplace in the telecommunications market. These weaknesses are masked by marketing efforts, suggesting that you need to rely on “the secrecy of the algorithm” or “government classification” – certified by the same intelligence agencies that are actually in charge of telecommunications interception. Now there is a solution that you can trust, because it can be verified by you or by your experts. GSMK CryptoPhones, the only secure phones that come with full source code and FIPS-140-2 certification available for independent review, are available now. Finally, you can perform an independent assessment to ensure that there is no weak encryption and no backdoors in the device you entrust your telecommunications security to. You don’t have to believe us when we say it is secure – you can verify that claim yourself. Man in the middle attack prevention – Six letter has is generated from the Diffie-Hellman result and displayed to the user. The user then reads three letters over the encrypted line to the communication partner and verifies the three letters the communication partner reads back.